New apartments are being built in Holdrege, Nebraska, where an elementary school used to be. Harvest Public Media's Grant Gerlock drove to south-central Nebraska and examined the rural housing crunch. Housing shortages are a familiar story in tech hubs like Seattle, where rent is notoriously expensive, or Bakken oil-boom towns in the northern Plains, where the population spiked seemingly overnight. The housing crunch also has come to Holdrege, Nebraska, population 5,500. 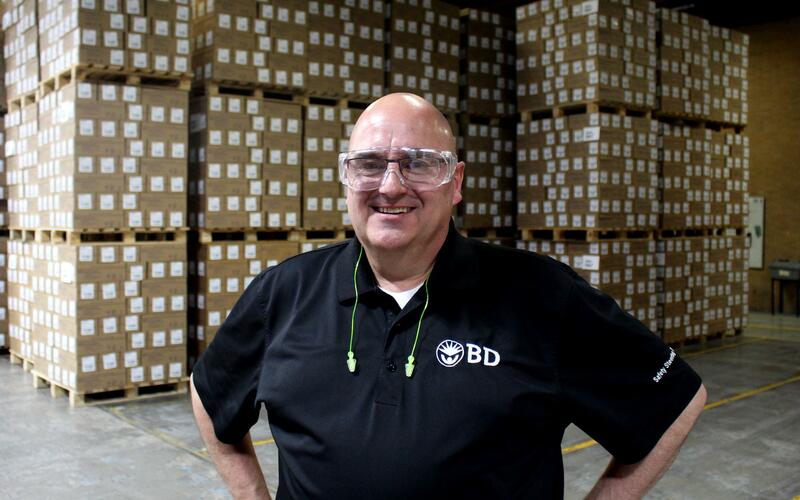 Brian Deakin is human resources manager of the Becton Dickinson syringe factory in Holdrege, Nebraska. The company sometimes struggles to recruit workers. "It's a nice place to live, a great place to raise a family, but they've got to have not only a place to work but a place to live," Deakin said. About 675 people make up to 9 million syringes per day. And the company is hiring for about 30 positions, including technicians to program industrial robots and mechanics to keep the robots up and running. Those are jobs that can be hard to fill, both for the skills and because there’s just not that many places to live in Holdrege. Phelps County as a whole needs more than 200 homes to catch up with demand. Experts say there are different reasons behind shortages: an aging population that prefers to stay at home longer, stagnant wages and less buying power due to student debt. A common thread, though, is that rural communities tend to have a disproportionate number of older homes. In Phelps County, for example, two-thirds of the homes were built before 1970. Houses are like roads and bridges, if they aren’t fixed up, they will wear out. And as homes wear out, they go off the market. Several states are trying to spur home construction. Nebraska recently created a $7 million fund to match housing investments, and Kansas and Iowa are using tax credits to lure investors to rural communities. The U.S. Department of Agriculture even offers loan guarantees for some rural mortgages and apartment projects. The lack of comprehensive data on rural housing needs makes it hard to compare how much those programs accomplish. 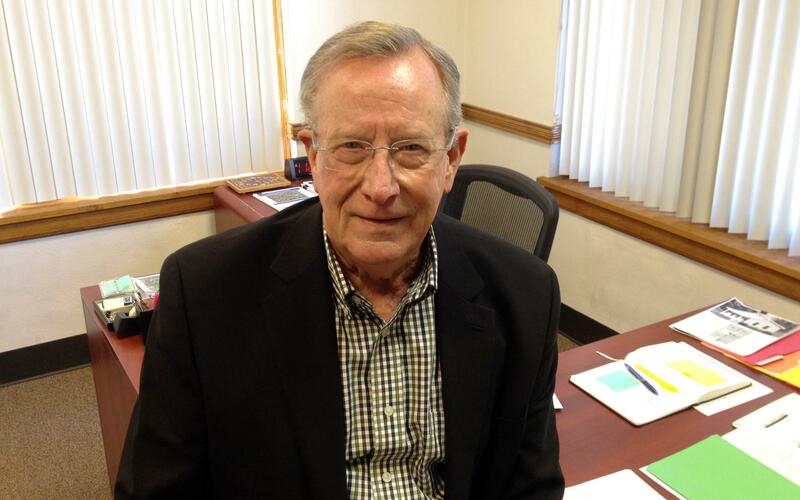 Ron Tillery is executive director of the Phelps County Development Corporation, a nonprofit that has been working to revitalize the housing market in Holdrege, Nebraska, and surrounding communities. In Holdrege, a local nonprofit is stepping in, having purchased the site of a demolished school and attracting a developer to build 18 apartments. “We probably have a need for five times as many as we’re building right now,” Phelps County Development Corporation executive director Ron Tillery said. The development group also is looking to buy rundown homes, and will tear them down to make way for new ones. Contractors are the key cog in the operation, but are concentrated in cities where they can work at a larger scale. When they come out to rural areas, the costs go up. Consider this: Constructing a new three-bedroom home can be $30,000 more in central Nebraska vs. in Omaha or Lincoln, developer Cliff Mesner said, due to the added cost of transporting workers and shipping supplies. That leaves an affordability gap, one that Mesner says rural communities must decide how much they can fill, because surviving and thriving will rely on giving people a place to work and call home. Many rural businesses and farms will benefit from the tax overhaul passed Wednesday by Congress. But there’s a catch: If the changes fail to spur economic growth as intended, programs that rural areas rely on could be on the chopping block. One provision in the massive bill, which President Trump has yet to sign into law, allows small business owners to deduct 20 percent of their business income. It also expands the deduction for small business investment — a popular provision among farmers, who can write off the cost of things like a new tractor. $750,000 for payroll. $500,000 for a bond payment. $1.25 million total. One August day in 2013, the hospital’s CEO Kerry Noble had to face facts: The money just wasn’t there. It took an emergency bailout from a local bank to keep their doors open. For now.